Read TARA’S BOOK full of inspiration and practical advice to turn your dreams into your reality. Included on Aspire Magazine’s Top 10 Inspiring Books List! 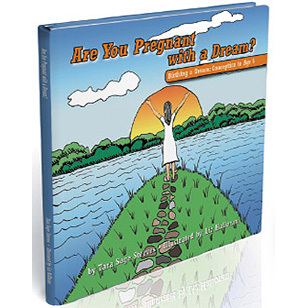 Are You Pregnant With a Dream? is a whimsical, detailed guide that offers numerous tools, breakthrough exercises, inspiration, and personal narratives to support every phase of bringing any dream to life. Order one for you & one for someone you love.